Today I present to you an abbreviated version of TMS. Last week we moved into our new home, and between getting settled and wrapping up end of the term grading I will admit defeat when it comes to my weekly comic book intake. Bone is still going strong in my family which has been a delight. I also wanted to deviate a bit from comics and let you know that They Might Be Giants are releasing another kids album! 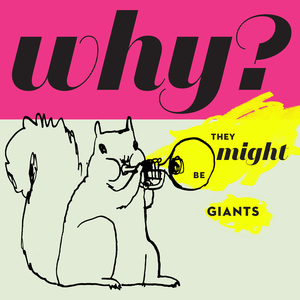 After their first amazing kids album No!, TMBG is releasing Why? on November 27. You can preorder the album and gain access to some really cool digital downloads here. You can even bundle the album with a TMBG yo-yo! Over the Garden Wall #2 - In a delightful issue, we learn about Fred the Horse and what led him to his path of crime. 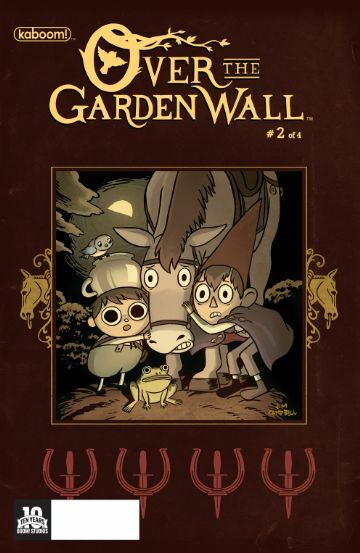 Apparently the bird that is guiding the children is leading them to an old lady's house with the intent of robbing her blind and Fred wants in. Poor Fred. After leading an honest life, he was fired because he swore to secrecy when he was robbed hauling a load. When people called him a liar because he wouldn't out who stole the goods, he turned to a life of crime. I love the mystery that surrounds this series and the whimsical world that Pat McHale has gifted us. 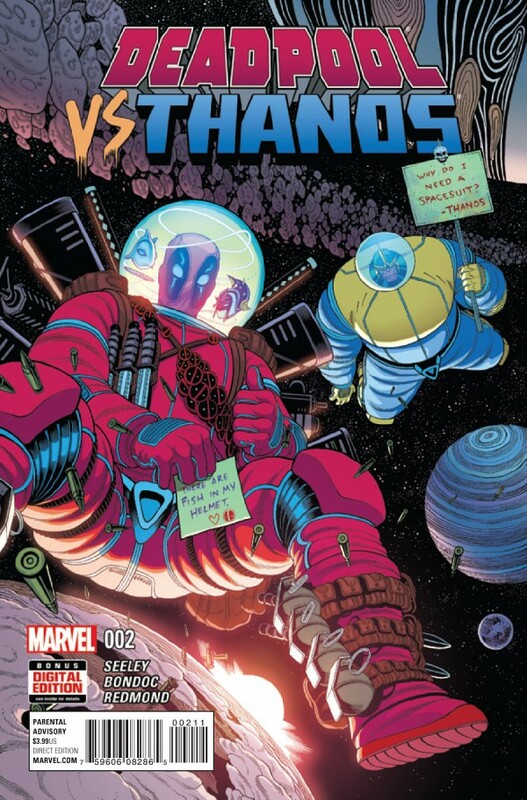 Deadpool vs. Thanos #2 - Thanos and Deadpool continue to quest to discover why things are no longer dying. Both Thanos and Deadpool have a relationship with lady Death, the the unlikely duo are forced to work together to uncover this mystery. It is especially awkward because, not only are they polar opposites, but Thanos is the one that cursed Deadpool and made him immortal. The dichotomy of the two play well off of one another and the twists and turns that they encounter make this an enjoyable tale. It appears the next journey will take them to Hell as they attempt to rescue Lady Death and restore order. Fun little title.